There have been vocal effects before – your vocoder, your pitch shifter, what have you. But the folks at iZotope set a more ambitious goal: be all the classic vocal effects. Put them a single plug-in full of modules. Then combine them in a way that makes them accessible, whether you’re preset surfing or dialing in your own sound. Encourage exploration without even requiring some advance knowledge. The result of that is called VocalSynth, and it’s out today. And wow, is this thing big – big enough that I imagine I might spend the rest of the year playing with it. I’ve had VocalSynth to play around with since an early beta a few weeks ago, watching as the developers gradually added in new modules and tuned controls while listening to feedback. And what’s compelling about it is that it combines sophisticated models of vintage gear – many of them hard to get in software form – with the more digital effects. It’s also a digital multi-effects unit good enough that you might sometimes insert it without the vocal effects. You’ll certainly be interested if you want effects on your vocals, but despite the name, you’re likely to experiment with other sorts of signals, too (hi there, drums). Vocoder. Well, really, three vocoders: “vintage” (modeling classic hardware) “hard” (edgier digital version) and “smooth” (for a gentler, sophisticated effect). Talkbox. This one is especially valuable, as it’s been tougher to get – and it means you can quickly make vocals as a non-vocalist, because you can route a synth or side-chained input and then make it talk. I hope you’ve got a notebook full of lyrics handy. Polyvox. Polyphonic pitch shifter, good for you Imogen Heap wannabes. Actually, Imogen, I’m curious whether you like this! Compuvox This models the 80s toys for a more retro effect. Pitch correction. And there’s a pitch-corrector (aka brand name AutoTune) you can add – substituting this before one of the other effects can also produce unique combinations. The pitch correction module sits at the top of the UI, together with a graphic representation of the sound. You’ll find the four primary effect engines below that, color-coded, which you can then mix together in any combination. That allows you to layer these four engines in variations subtle or extreme. Each of these four modules requires pitch input, but there iZotope have found a unique solution. You can use MIDI input to control the modules – for example, playing harmonies and melodies on a MIDI keyboard. But if you’re not confident of your keyboard (or musical) skills, or you’re simply on the go and don’t have a convenient input, you can also switch to Auto mode. 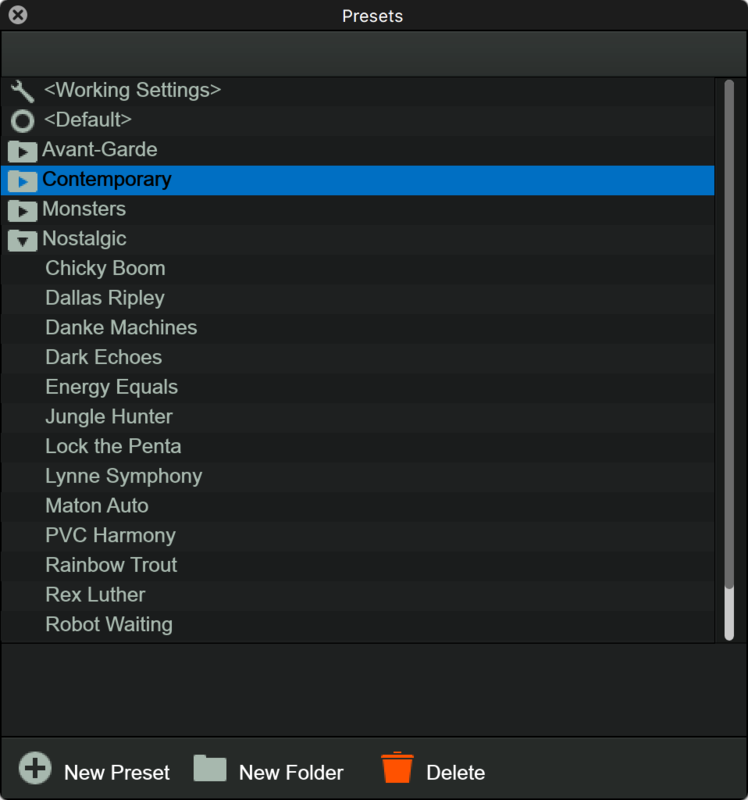 That lets VocalSynth automatically add chords/octaves/doubles according to your selections, leaving you free to sing or experiment or whatever. The bottom portion of the interface covers more typical ground – a set of effects already paired with the VocalSynth engines. Transform. This is actually the most important of these – it’s a convolution-based, modeled speaker so that you can emulate amps and speaker cabinets in a way that pairs with the different synth engines. Filter. This is actually also a module with multiple engines – a ladder filter model (dubbed “New York”), an aggressive resonant filter called “Scream,” and a “Combo” that combines high- and low-pass for sweeping effects. Shred. Drawing from iZotope’s beat repeating stuff (whether you want to call that EDM or IDM I think is up to you), you get glitchy beat-synced effects. Bonus. All of these combined modules of course mean there’s an extensive preset library. But playing with the various modules is equally enjoyable. Between the harmonic features and the simplified “just tweak this knob” interface, there’s plenty open to free experimentation and happy accidents. Just a few of the loads of presets. We’ll go more in depth soon with how the software was designed and created and what inspired it, and what sorts of sounds you can make with it (with some tips on how to explore all this terrain). In the meantime, here are just a few sound samples to give you a taste of what’s possible. This is really just some idea of the basics / historical sounds as a selling point, though; you could certainly warp this stuff in very different directions, and iZotope tells CDM they’re really hoping users contribute very different sound samples. 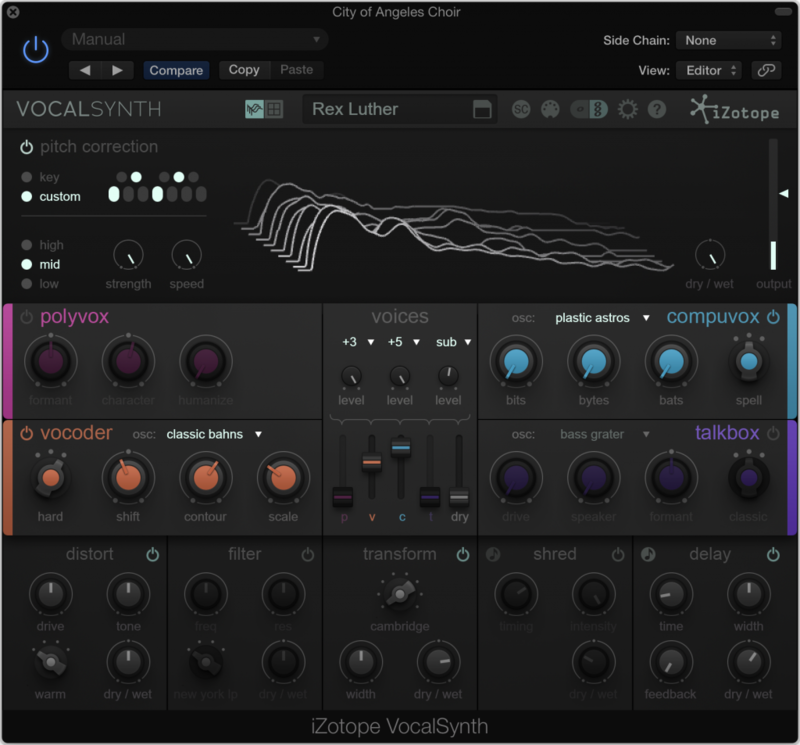 Updated — here’s a great example of the sounds VocalSynth can make. The video may look like it’s from iZotope, but it’s not – it’s just another intrepid Internet user named Rishabh Rajan making some amazing productions (subscribing to this person’s channel now).